There is broad and growing recognition that palliative care, including symptom management, advance care planning, communication, and caregiver support, are needed throughout the course of serious illness. While the needs of seriously ill patients transcend age, it is a demographic fact that older persons comprise the bulk of those with chronic palliative care needs. Specialized supportive care and help with decision making regarding treatment options that match individual wishes not only improve satisfaction with care but also enhance quality of life. Palliative care programs are consistently demonstrating their value in helping patients live their final days in accordance with their wishes. Earlier conversations about patient and family goals of care, a key component of palliative care programs, along with symptom control and greater psychological and spiritual well-being, match treatments to patient wishes and lead to greater satisfaction with care. Individuals who engage in advance care planning, another essential element of palliative care, are less likely to die in the hospital or to receive futile intensive care that is unwanted.2 Earlier access to palliative care results in less stress on the family, less emotional trauma, and less familial discord regarding what course of treatment is in the patient's best interest. Many seriously ill patients don't receive the services they need because their diseases aren't among those that typically come to mind as life-ending diseases. For instance, individuals with end-stage renal disease, COPD, or congestive heart failure are far less likely to receive palliative care than patients with cancer or dementia—diseases typically associated with the end of life. The opportunity to introduce palliative care to members with serious illnesses is generating strong interest among Medicare Advantage, Medicaid/Medicare plans, and provider-driven managed care organizations. To meet this demand innovative approaches are now available, including one process-driven model that is designed to provide a consistent program that serves members beyond the hospital and into the home. Designed to be part of a payer's broader, existing population health management approach, this model convenes community-based palliative care teams composed of specially trained nurses and clinical social workers. These resources enable payers to scale their programs for larger populations and provide the expertise and experience to conduct meaningful, thoughtful discussions that help to match treatments to personal wishes. Members who are high opportunity and not simply high cost are identified by sophisticated analytics in advance of the last six months of life. Palliative care programs can be introduced before these members undergo nonbeneficial treatments and technology, which is frequently offered by default, resulting in overmedicalized deaths marked by costly hospitalizations and short stays in hospice, if patients are referred to hospice at all. Unlike any other model on the market, this unique approach relies upon a structured approach to palliative care. It includes a platform of formalized palliative assessments and questionnaires and a standardized approach to conducting baseline and follow-up phone and home visits. This helps to instruct and guide clinicians as they perform and document patient encounters. Through regular team meetings with the palliative care team and detailed clinical and administrative reporting, this solution provides a high degree of accountability and clinical supervision to ensure the consistent delivery of high quality care. Many caregivers, family members, and geriatric professionals may find it uncomfortable discussing advance care planning, so it can be helpful to involve palliative care experts to facilitate clear communication. Health care decision makers are wise to consider partnering with a community-based care program that relies upon specialty palliative-trained nurses and clinical social workers who interact and coordinate care with other designated health care professionals who are responsible for a patient's ongoing medical care. This collaborative care management approach improves care coordination, reduces the cost of care, and results in greater patient and caregiver satisfaction. It also is an ideal model for establishing goals of care, ensuring advance care planning prior to admission or readmission to a facility. Ideally the care team should use a "care pathway" approach that defines a patient's assessed risk level and determines the frequency and type of follow-up care. The team should then continue to follow the patient through the course of illness unless he or she stabilizes and no longer requires services. The focus is on the end of life as it relates to the patient—not the disease process—and puts quality over quantity. — John W. Halsey, vice president of business development at Turn-Key Health, is a health care executive with more than 25 years of experience helping organizations drive revenue by strategically assessing opportunities, developing marketing strategies, and executing on sales. 37,38,39,40,41,42,43,44,45,46,47,48,49,50,51,52&loct=2&fmt=35. Accessed December 1, 2017. 2. Halpern SD. Toward evidence-based end-of-life care. N Engl J Med. 2015;373(21):2001-2003. 3. Riley GF, Lubitz JD. Long-term trends in Medicare payments in the last year of life. Health Serv Res. 2010;45(2):565-576. 4. Inpatient days per decedent during the last six months of life, by gender and level of care intensity. The Dartmouth Atlas of Health Care website. http://www.dartmouthatlas.org/data/topic/topic.aspx?cat=18. Accessed December 1, 2017. 5. Barr P. Baby boomers will transform healthcare as they age. H&HN Daily website. 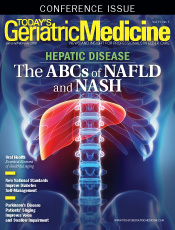 http://www.hhnmag.com/articles/5298-Boomers-Will-Transform-Health-Care-as-They-Age. Published January 14, 2014. Accessed December 1, 2017. 6. Khullar D. We're bad at death. Can we talk? The New York Times. May 10, 2017. https://www.nytimes.com/2017/05/10/upshot/were-bad-at-death-first-we-need-a-good-talk.html. Accessed October 23, 2017. As an example, innovative palliative care models are designed to manage those struggling with end-stage renal disease (ESRD), helping patients and caregivers to address the associated challenges. While greater attention has been focused on advance care planning and end-of-life decisions, conservative therapy and withdrawal from dialysis must be supported by adequate palliative care incorporating symptom control. The number of patients with ESRD is increasing in the United States, in part because of the epidemic of diabetes mellitus.1 Dialysis is now offered to older and more medically complex patients who would not have been considered for treatment in the days of limited dialysis resources. With this increase in the number of elderly patients accepted for dialysis, patients, their nephrologists, their families, and multidisciplinary teams are often faced with end-of-life decisions and the provision of palliative care. While dialysis may offer a better quality and quantity of life compared with conservative management, this may not always be the case. Today patients and families are seeking information on all options and potential outcomes before embarking on such therapy. They should be assured of adequate symptom control and palliative care regardless of which option is selected. Those undertaking dialysis may benefit from being fully aware of their choices between active and conservative treatment should their functional status seriously deteriorate. This information should also be shared with caregivers. This clarifies treatment pathways and reduces the ambiguity surrounding decision making. If conservative therapy or withdrawal from dialysis is chosen, each should be supported by palliative care. Currently palliative care is becoming a viable option at any stage of a serious illness, not reserved only for care near the end of life. Its use should be driven by patient need, not disease prognosis. 1. Kidney disease statistics for the United States. National Institute of Diabetes and Digestive and Kidney Diseases website. https://www.niddk.nih.gov/health-information/health-statistics/kidney-disease. Updated December 2016. Accessed December 1, 2017.